Paula, an author and singer/songwriter, describes her greatest art as that of stillness. All art has whitespace, rests, and punctuation - we as God's artistry need unhurried whitespace for the soul. Take a listen to this four-ish minute audio and consider where the whitespace is in your life. An amazing book that I just finished, is to the right. 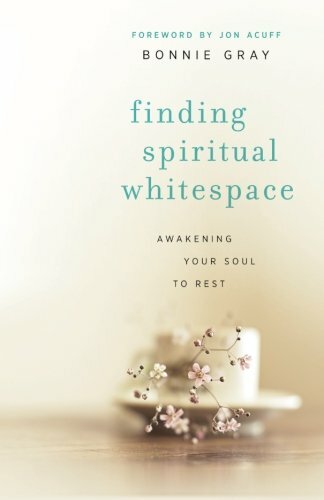 This is a no fluff, honest and compelling invitation to find and create whitespace in the midst of much of the difficulties of our life journeys. Finding spiritual whitespace isn't about carving out an hour of time to escape the things that stress us. It's the opposite. It's getting away from everything we do to distract ourselves from all the hidden pieces - in order to nurture our soul." ~ Bonnie Gray, 49.